The 2 Types of Lead Generation Companies. Lead generation forms one of the most important parts of the sales and marketing equation because it forms the liftoff point of the sale. More often than not, many companies suffer from botched strategies in lead generation. B2B companies can choose from two types of lead generation companies depending on their project requirements and target market. Businesses need a lot of help from lead generation experts to ensure that they are targeting the right audience. In this way, they are able to maximize their time and resources strategically. Getting the right leads also minimizes cost and allows businesses to zero in on targets with guaranteed responses. These responses are expected to close sales and generate profit. This type of lead generation company prioritizes businesses who sell intricate B2B products or services. Under normal circumstances. This type of lead generation company targets acquiring vital information and contact details of individuals belonging in upper management such as presidents, vice presidents, CEOs, CFOs, and senior officers to mention a few. Under this type of lead generation company, decision makers and prime movers in other businesses and organizations are being targeted. Since the initiatives being created are intended to attract key people in organizations, it can be expected that the sales cycle take more time than those being designed for regular individuals. 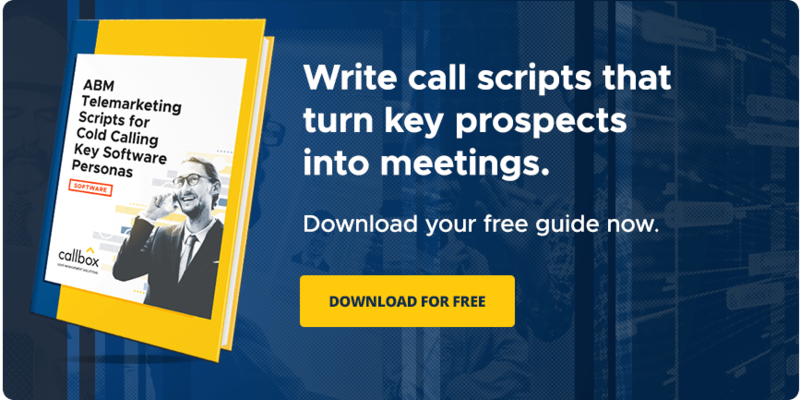 Most of the time, the lead generation team needs several months in sales calls until they can fully convince their target executives about the product or service. As this usually entails making major decisions involving the business, the approach being used here by salesmen and marketers alike is providing solutions to different types of needs within the organization such as operational systems, finance, and production to name some. The major selling point is being able to convince executives of the return on investment (ROI) and the long-term contributions that the product or service will provide to their business. At the end of the day, higher management would want to consider something that will help grow their respective businesses exponentially and consistently. Moreover, it is widely known that the leads being generated by this type of lead generation company is of high value considering the influence they have within their organization or business. How will a major account lead generation company benefit your business if you are a product or service provider? It can give you high-value connections with decision makers within an organization. You get the opportunity to directly interact with company executives who are in the position to endorse or approve your product or service. Once a deal is closed, there is a high possibility of great returns for your business. You get the opportunity to establish a long-term professional working relationship with your client – something that is very difficult to do when you do not have direct contact with executives. You will not be burdened by having to make sales calls that are never acknowledged or confirmed. A team made up of individuals who have, more or less, 5 years of sales and marketing experience. It is made up of a program management team with at least 10 years of sound and commendable experience in the area of handling sales leads from beginning to end. The team should be knowledgeable of the details in the sales cycle. They should also be well versed where it concerns lead generation, appointment setting, classifying and qualifying business leads, making the proposal, and closing the sales deal. Should possess advanced calling center technology. The team should have a well-established lead generation process that is able to utilize the benefits of various online platforms. Here are the 5 things you should know before outsourcing your lead gen campaign so that you can make informed decisions. This type of lead generation company, on the other hand, revolves around smaller purchases. Normally, small sale lead generation companies target businesses with potential purchases of under $10,000. B2B businesses are also common targets. The sales cycle, however, is a lot shorter compared to that involved in the major account lead generation. A lot of the lead generation companies operating today do very well in small sale lead generation. Compared to the major account lead generation process, this is a lot easier and shorter. It also generates faster income, as the target amount involved is a lot smaller compared to the major account lead generation process. Here are 5 reasons to outsource part or all of your marketing initiatives, as well as the stats to back them up. Lead generation is one of the most important areas of the overall sales funnel that’s why it is very important that leads are nurtured. Find out more about how we can help you score qualified leads and maintain them as they move to be your clientele.